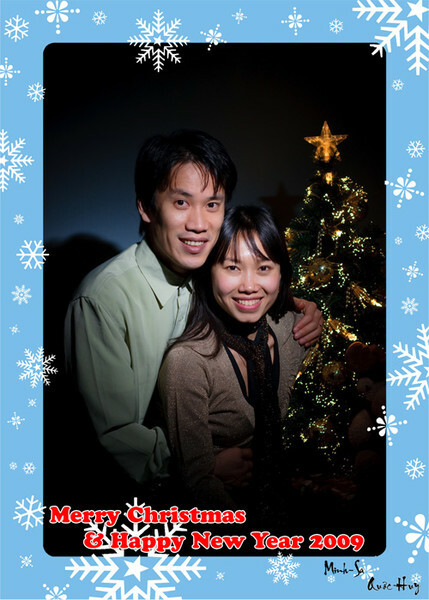 Christmas is a wonderful period where everyone is thinking of all their beloved. I think a lot of people, even if they are not catholic, are enjoying that date. It's not only because it is a bank holidays but also for the atmosphere and an opportunity to be with the family remembering every good things that happened in the year. For people like me, far away from the family and that are not able to go back home, friends are the family. I wish you all to spend a wonderful Christmas time in your family or among your friends, enjoy the good time together eating nice food and giving out meaningful presents. May you end 2008 in joy and happiness and may 2009 bring you even more!